Tomorrow is Valentine’s Day, allow me to share recommended “Seats For Two” to rekindle love and romance. Perhaps it’s the variety of food that makes our every dining at Max’s truly delightful. He loves tofu, I want dishes with soup like sinigang belly bangus. Recently, I found a new favorite – pinaputok na bangus belly. But, there’s a common favorite and it’s the Max’s signature fried chicken and all the desserts this family restaurant offers like buko pandan and the dessert samplers, gone in a few minutes! 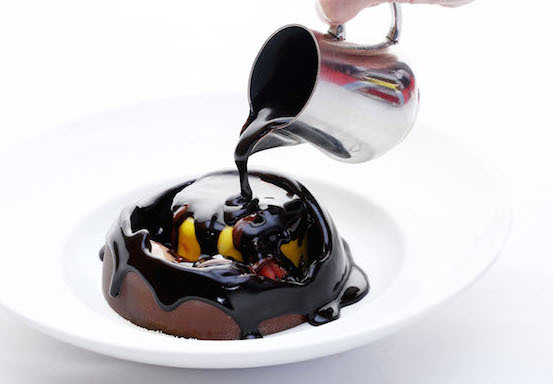 A Delightful Valentine celebration awaits all customers who will be dining at any Max’s Restaurant starting today, February 13 to 15, 2015. Diners with a minimum food spend of PhP 1,500 will receive a box of yummy Choco and Caramel bites from Max’s Corner Bakery, all for free! 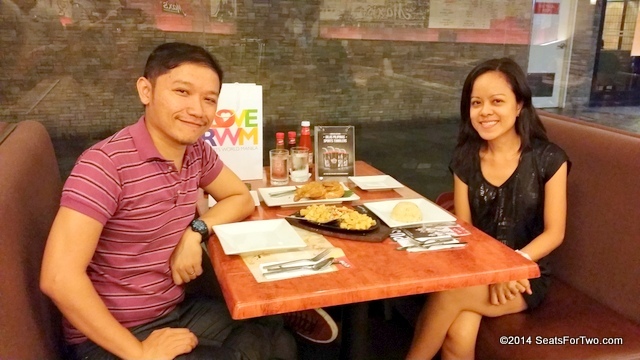 Max’s further sets the romantic mood with “Meal for Two,” an intimate date to celebrate Valentine’s Day while enjoying their favorite classic dishes from Max’s. 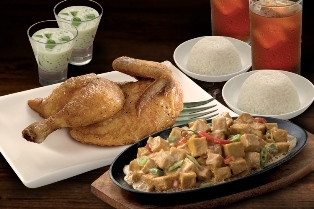 Meal for Two creates the perfect date, with a regular half serving of Max’s sarap to the bones Fried Chicken complemented by a savory choice of Sizzling Tofu or Adobong Kangkong, steaming white rice, two glasses of iced tea or any Pepsi softdrink. This hearty meal is sweetly capped off with delicious Buko Pandan. Max’s Meal for Two is only priced at PhP529, or with as much as PhP 191 savings for customers and is available until February 28. Of course, Valentine’s day will not be complete without the sweet treats. Max’s Corner Bakery baked Love Letter Cookies and Love Birds Cookies. Melt-in-your-mouth White Chocolate Butter Cake, a delectably light and fluffy butter cake garnished with milky white chocolate shavings and topped with rich whipped cream and cherry; and yummy Choco Peanut Butter Cake, a rich and moist chocolate cake, filled with premium peanut butter icing and coated with delicious chocolate frosting. 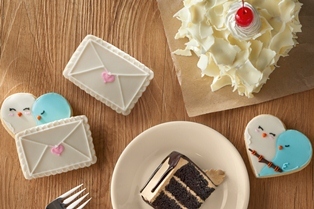 There’s nothing sweeter and more romantic than sharing these sweet treats from Max’s Corner Bakery! 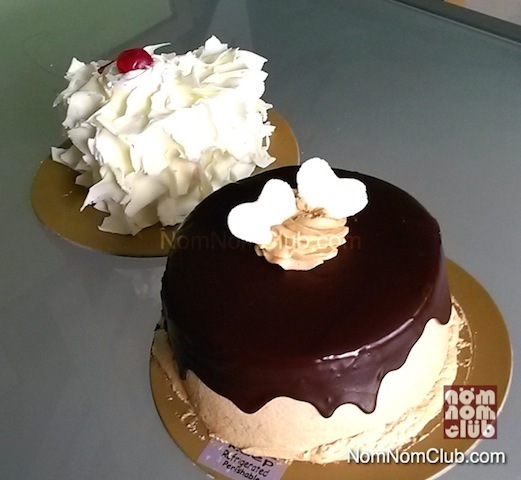 The White Chocolate and Peanut Butter Cake will be served at home on Valentine’s day. Although, I tried the latter, it was my favorite. You can also order online for the sick loved ones, visit their website www.maxschicken.com. You may surprise your spouse, family members, even your bestfriend with Max’s Delightful Valentine, or catch Max’s Meal for Two and Max’s Corner Bakery’s sweet treats for Valentine’s anywhere in the Philippines for the entire month of February. This promo is available for dine-in, take-out and delivery. 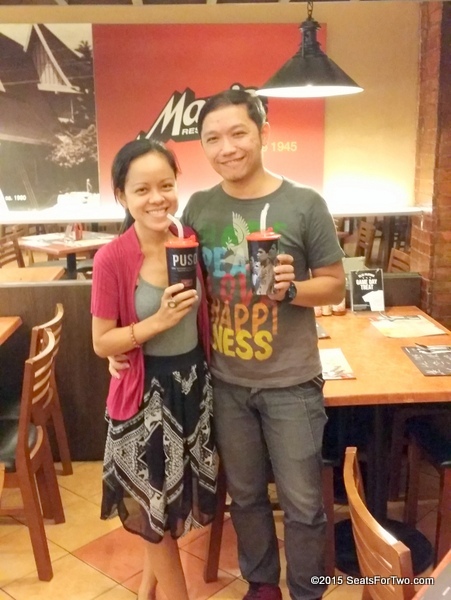 Visit your favorite Max’s branch and create the most romantic Valentine celebration for your special loved one. Our personal favorite branches are Trinoma and SM Makati. Happy Valentine’s Day from Seats For Two! our family loves Max’s Restaurant.